What Are the Odds of Losing Your Job to A Robot? What are the odds of losing your job to automation? Find out here. The age of the robots is coming. Advanced AI, learning algorithms, even BRETT the trial-and-error robot are all but ensuring our obsolescence. In the past few years we’ve seen robot journalists, telemarketers and even robot farmers, so what we all really want to know is: How safe is my job? 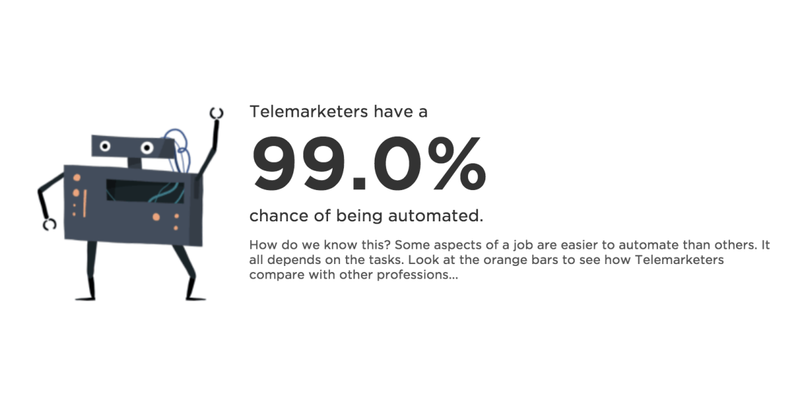 For some professions, such as telemarketers, you’re fairly guaranteed to be on the unemployment line in the near future. For others, such as mental health and substance abuse counselors, you’ll be around a bit longer. Essentially, the scale is favorably tipped toward jobs that require reasoning, creative problem solving, or one-on-one human contact. Those that are more process-oriented, such as working in fast food restaurants, are deemed to be relatively easy to automate in the future. 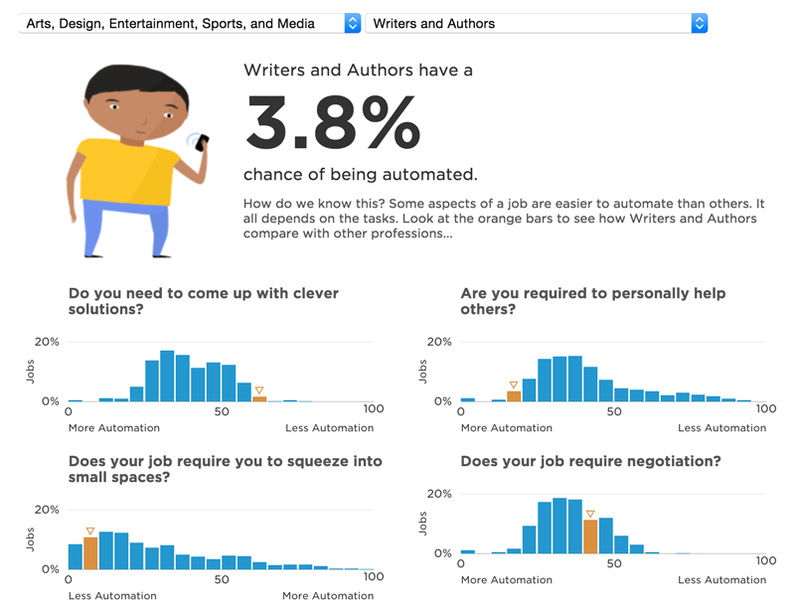 NPR combed through the data to make its own handy tool that allows you to gauge automation risk in your profession. The percentages are just estimates based on the study, and the researchers admit that – at this point – they’re merely predictions and could very well turn out to be wrong. Luckily, my job, appears to be safe… for now. How about yours? Let us know in the comments below.